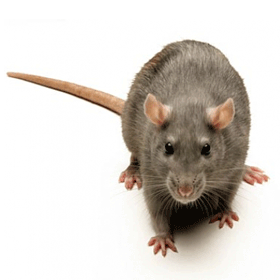 Get a *FREE Pest Removal Quote *Excluding wildlife services. Protect your home from 60 different common household pests, 365 days a year. Modern’s HomeCare Green Pest Control Program protects against common pests in New England that pose risks to your property and well-being. The head and body of the Norway rat range from 7 1/2 to 9 1/2 inches in length. The scaly tail is 6 to 8 inches in length. Their fur is shaggy brown with some black hairs. They have small eyes and ears. 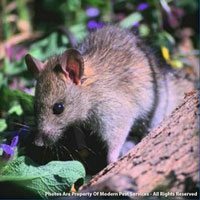 These rats are nocturnal and quite cautious, usually not straying more than 100 – 150 feet from their nest. They can enter a structure through an opening as small as a 1/2 inch. Indoors, they prefer to nest on the lower levels, such as a basement. Outdoors, they burrow in soil, under sidewalks, near streams and rivers, piles of garbage, etc. Foods of choice are meat, fish, and cereals. The will chew through almost anything to get to food or water. Adults usually live between 6 to 12 months. Generally producing 3 – 6 litters, with an average of 7 – 8 young per litter. Rats as a house guest can create health risks for you and your family, as well as cause structural damage to wires, insulation, and sheetrock. If you have a rat problem, don’t try to tackle it alone. 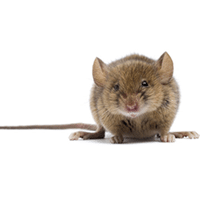 Give Modern Pest Services a call today at 1-888-997-3312 or get an instant online quote for the comprehensive HomeCare Green program that controls 60 common pests, year-round – including rat! © 2019 Modern Pest. All Rights Reserved. Servicing Maine, Massachusetts, New Hampshire, and Connecticut, Modern Pest Services provides industry-leading extermination and pest control management for residential and commercial businesses. Get a quote for a proactive and cost effective pest control program to stay protected against 60 different pests year-round.